This is the new faith Calendar for 2014. 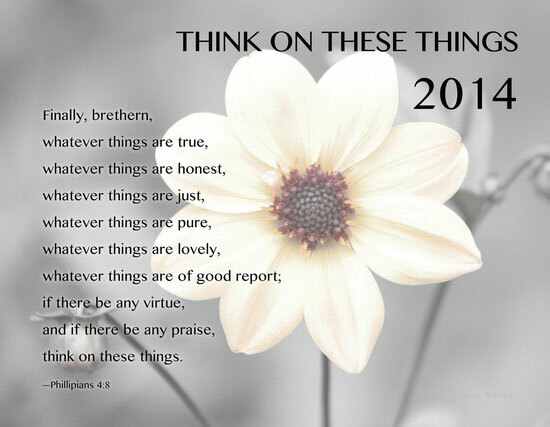 I think I will continue with the theme "THINK ON THESE THINGS" for future Faith Calendars as I have added a secound calendar this year and this year it is Florida Birds. Go to the catagory Calendars to see all the months photos.